Today was going to be a longer day… (i.e. 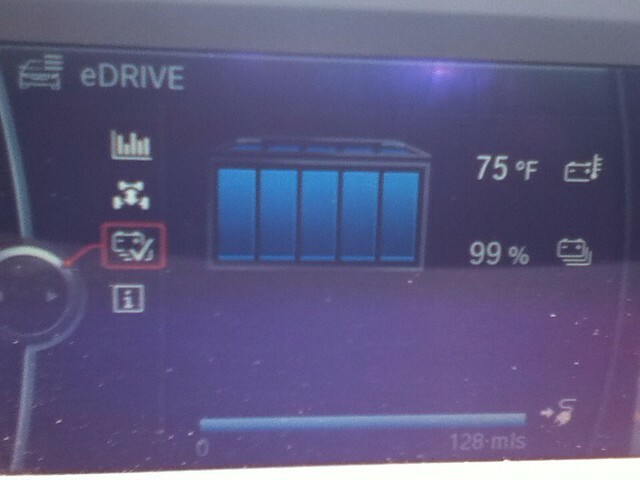 at least 102 mile roundtrip) and I got to the car and noticed that the car did not charge last night. 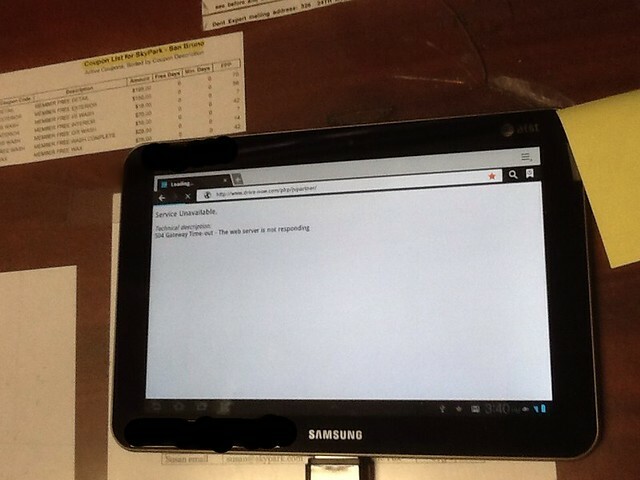 Though, obviously, NOT the screen on the picture. It was registering close to 70% SOC or somewhere around a 65 mile range (based on what the guesstimator thinks I would do). 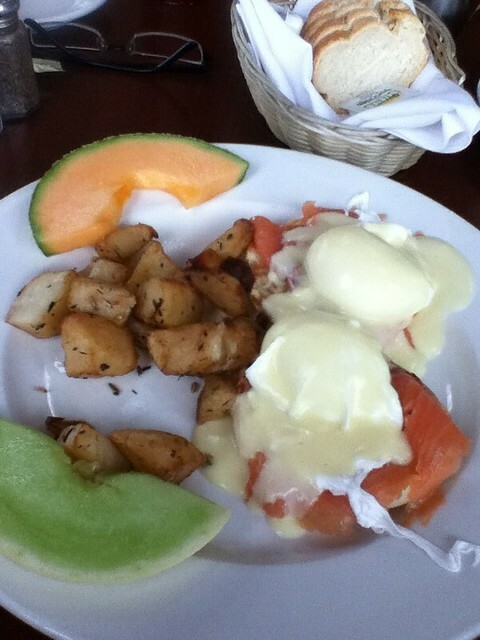 I had the Eggs Neptune, which was quite good, but I actually prefer either their Croque Madame or Salmon Omelette. Which leads me to the idea of how far is too far. What is Range Anxiety and what is Range Insanity. I always assert that the range of the Active E is unlimited, if you have the time to wait for it to charge and the opportunity to get power. Active E users around the country are looking to meet up in a few weeks at a couple of locations. The Connecticut, New Jersey, and New York contingent are meeting at Tom Moloughney’s Nauna Bella Casa for this meet up and the Northern and Southern California Electronuts will be meeting at Morro Bay. Morro Bay was chosen because it almost equidistant from LA and SF (around 205 miles from each city center.) Now for me it’s closer to 230 miles… Considering the fact that I’m not a very good hyper-miler (the product of a lead foot and impatient driver tendencies) and the following Monday is a work day, I think that I’ve discovered the upper bound of my tolerance to drive the Active E for a distance, and it’s not Morro Bay. I am considering driving one of two ICE vehicles that we have. If the weather is nice, we might drive that “top-down” in our 328iC or if I felt like being “funny”, we might get our LESS fuel economic X5 and drive that up there… Somehow, I’m sure I’d go with the more fuel efficient option between the two ICE vehicles, but not as energy efficient as the Active E to Morro Bay. Two weeks and change to go before we have to make that determination. To those who will brave that drive in their Active E, my hats off to them. Luckily there is a larger charging infrastructure NOW, but stopping and charging for at least 4 hours for three times in my Active E is 12 hours of waiting that I would rather not do. With less than one year to go on my ActiveE experience, I KNOW that I will be jonesing for more ActiveE driving. I’m sure that the Model S that we have reserved would keep me rEVolutionary. However, one never forgets ones first… EV love! 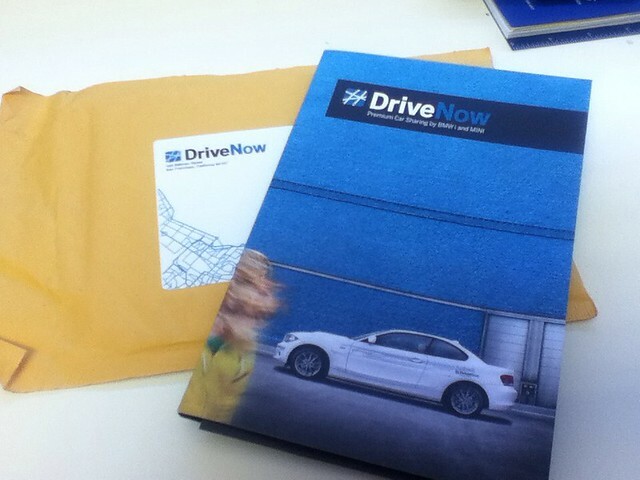 BMW and Sixt’s JV in San Francisco – drive-now.com. My experience with drive-now was not positive because of USER ERROR and not their fault… Though, I was initially irritated with the process. So, I looked into this product several months ago when they first launched. 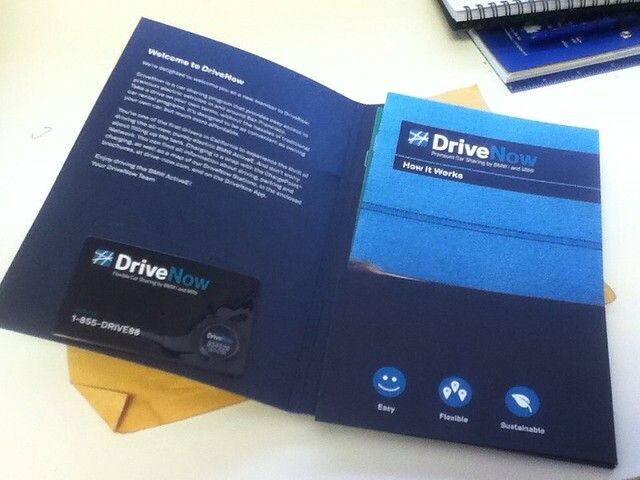 At the time, drive-now was in a few locations throughout the city of San Francisco and required that subscribers show up to a registration center to join them. This process stuck on MY idea of what the process is. At the time, I provided feedback via the Active E forums that the drive-now should go ahead and provide stations near the airports and/or mail the FOBs to subscribers directly. Flash forward to when I signed up. Apparently, they listened to my suggestion, but I assumed that they only took the first part of the suggestion which was to locate these centers by the airports. So, I was on a trip a few weeks ago to Napa and thought that it would be fun to rent an Active E for the trip. I was arriving in San Francisco International on Saturday morning and figured to go ahead and sign up for the service on Wednesday prior to my arrival. Since I had an early lunch seating to make at the French Laundry in Napa, I figured that I would just pick up my rental ActiveE on Sunday as I erroneously assumed that I would be picking up my FOB at the SkyPark Parking, located at 1000 San Mateo Ave, San Bruno, CA. So, after a fun quick trip to Napa and Sonoma, we proceeded to SkyPark Parking at San Bruno to see if we could rent an Active E and pick up our FOB. So, we drove to the location, and told the folks there that I had just signed up for the service and would like to pick up the FOB from them. I did not properly read the e-mail confirmation of my membership that clearly stated that I should contact customer service should I desire to pick up my FOB at a registration center. The folks at SkyPark tried to address this issue for me, but were unable to even get the process started. They couldn’t even pull up the website. As I mentioned, it would appear that had I read the email from the folks at drive-now, I would’ve realized that I was complicit in making this process more complicated, but I do feel that they need to realize that they need to ensure that the parties that represent them should have tools that work. Additionally, it would seem that even if the device worked, the app that they are using is coded in German and they need to re-code it in English for this launch. Oh well. Needless to say, now that I did receive my packet (the following week after I signed up for the service) I am hoping that my experience will be more positive. I will just have to find myself back in the Bay Area. I am thankful that this program does exist as a hedge for the time that I have to turn my keys in to BMW for the end of my Active E experience. I held out for hope that they would at least offer Active E Electronuts a discount on the sign ups, alas, that did not happen. So, what do I recommend. First, read their communications. If you are looking to use the service right away, make sure to follow the instructions. Otherwise, if you are flying into San Francisco or Oakland, make sure to at least sign up for drive-now a week or two prior to arrival.